We asked Co Gia Nguyen, APBC’s Vice President & General Manager, what winning a Silver Stevie at the 2014 Asia-Pacific Stevie Awards had meant to him and his team. The business center was established in November 2005. Currently over 600 employees work at APBC on the following RA automation-control product lines: CompactLogix™; SLC™; Distributed Input/Output; Micro Controllers; PanelView™ Component; and Component Drives. The APBC’s research and development, engineering, and manufacturing experts are conveniently located near machine builders in Asia-Pacific, a market vital to RA’s growth. We asked Nguyen what new technologies he thought would most affect his customers in the future. "Rockwell Automation’s vision is to leverage technology to transcend industrial business barriers and add value to the connected enterprise, as well as to the industrial ecosystem," he told us. “New commercial technologies will seamlessly connect people, processes, devices, and data so industrial operations can be integrated, optimized, collaborative, sustainable, and secure. Nguyen explained that, in a connected enterprise, plant personnel could capitalize on the business value of possessing the right information at the right time with visibility into production data and supply-chain information. With more industrial firms seeking sustainability, automated real-time reporting and monitoring allows on-demand viewing of data that can be transformed into actionable information. “With an eye on energy savings, Rockwell Automation can help operations managers and business leaders design, monitor, and control their energy usage,” concludes Nguyen. 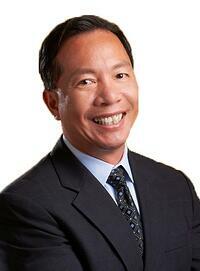 Co Nguyen is Vice President and General Manager of the Rockwell Automation (RA) Asia Pacific Business Center. He is the head of this legal entity located in Singapore and is responsible for its profit/loss and for managing all relationships and interactions with the Singapore government and other related agencies. Nguyen joined Rockwell Automation in October 2007. Prior to accepting his current position in October 2010, he was the Business Director responsible for the Distributed Input/Output and Small Controller businesses located in Singapore. Nguyen has had extensive general management, product development, operations, and account management experiences and has worked for multi-national companies such as Johnson Electric, Honeywell, General Electric, AVX Tantalum and ITT Cannon. Nguyen also had strong multi-cultural experiences having lived and worked in the United States, Brazil, and Hong Kong. Nguyen received his Bachelor of Science, majoring in Mechanical Engineering, from the United States Military Academy at West Point. Rockwell Automation, Inc. (NYSE: ROK), the world’s largest company dedicated to industrial automation and information, makes its customers more productive and the world more sustainable. Headquartered in Milwaukee, Wisconsin, Rockwell Automation employs about 22,000 people serving customers in more than 80 countries.